San Blas is both a municipality and municipal seat located on the Pacific coast of Mexico in the state of Nayarit which was founded in 1531. In 2000 the population of the municipality was 42,762 while the population of the municipal seat of the same name was 8,812 in the same year. The total area of the municipality was 823.60 km?? and it made up 3.0% of the surface of the state, occupying twelfth place in territorial extension. The municipality includes the islands of Las Islas Mar? ?as, a group of four islands lying 112 km. off the coast. As a favorite activity for many of our guests, San Blas is host to the river cruise through mangroves where tourists see all kinds of wildlife; including crocodiles up close! 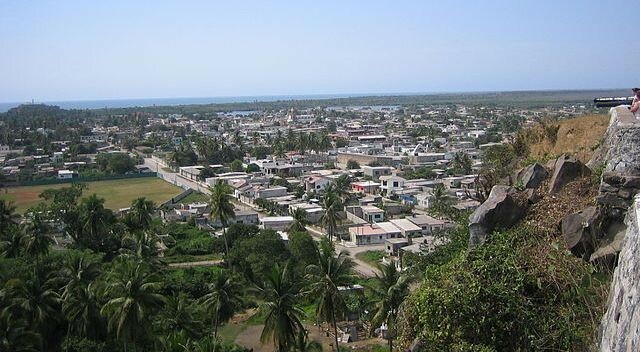 San Blas was devastated by Hurricane Kenna in October 2002, but has since been rebuilt. For more information on San Blas, including history, climate, recreation, tourism, economy, etc. see the the San Blas Wikipedia page.